The link between psychology and online hacking may not seem obvious at first. However, the human mind is actually one of the most vulnerable components in any hacking scheme. 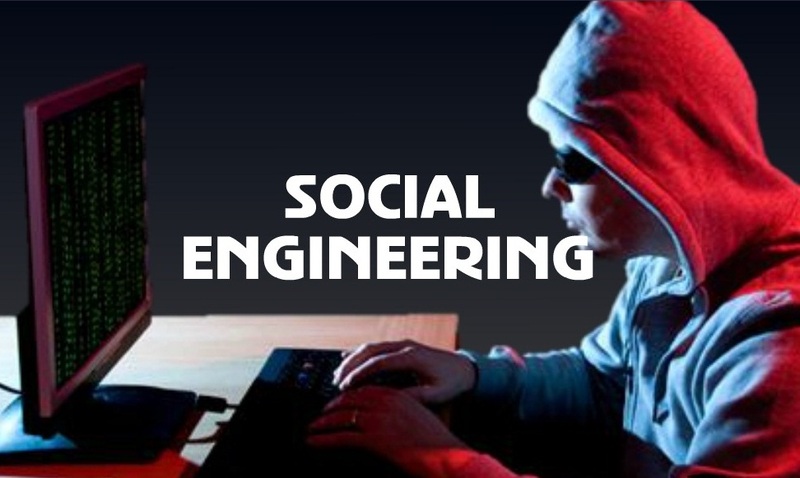 Criminals are increasingly using social engineering as a means to hack email accounts and network systems. When you boil it down to its core, social engineering is a form of manipulating people into performing actions or giving up information using confidence tricks. This tactic is not a joke when you consider that nearly $3 billion has been lost to this kind of fraud so far. What’s more, instances of cyber fraud stemming from social engineering have tripled since 2015. Presenting fabricated stories and posing as tech support. Baiting with the promise of an item, good or prize. Tailgating by piggybacking on employees with card access to restricted areas. What would you do if you received an email from your company’s CEO requesting that you transfer a sum of money into an account immediately? Most people would comply with the request of the person in charge without asking questions. Nobody ever expects that someone would create a fake request from a CEO to extract money or important data from his company. However, it is the clout that a CEO holds within an organization that makes CEO fraud such a powerful tool among hackers to breach security and privacy. A common attack used by hackers starts with spoofing the email addresses of CEOs and other top-level executives. Fraudulent emails are then sent to members of an organization’s finance department or accounts payable department to request high dollar amount fund transfers. Employees have no reason to question what appears to be a legitimate email request from a verified internal email address to transfer funds. The transfers direct the funds directly to the criminals’ account, never to be recovered. The typical cost of each of these fraudulent transfers is between $25,000 and $75,000 and can go into the millions. An employee at Mattel famously fell victim to a CEO phishing scam and wired $3 million to a bank in China. The funds were never recovered. And it is not always just money that hackers are after - they often use the psychological power of an authority figure to request files and personal information from employees. Social engineering is so powerful because the desire to comply with authority is buried deep in the human mind. The fact of the matter is that nobody wants to get on the wrong side of a CEO because they failed to obey an order. In addition, other social engineering hacks play into human habits and desires in powerful ways. How can an enterprise fight such a sophisticated approach? The first step is to make sure employees and managers are educated about current scams. It may be necessary to put additional protocol into place in regards to how to gain approval for wire transfers over a certain dollar amount. Adding an extra step like a telephone call that verifies wire transfer approvals may help to bring an element of common sense into the process. Of course, you can’t effectively combat hacks done with social engineering without getting an IT department involved. There are specific things that an enterprise can do to protect a network system from CEO email hacks and other scams. Cyber threat intelligence is the main measure that needs to be evaluated and upgraded. DNS firewall protection can block outbound mail to suspicious servers and domains. This is an important step because it can cut a hacker off before they are able to complete the steps of sending out dubious messages to unsuspecting victims or block outgoing emails from the company that might contain sensitive information. In today’s modern and technologically advanced world, companies are losing billions to CEO Hacks and Social Engineering.